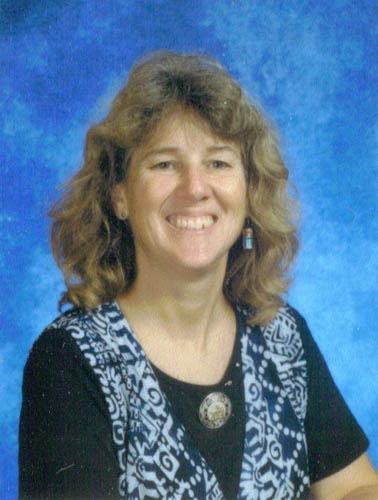 Eileen May Moran, 54, is remembered and loved by her family following her death February 2, 2007 in Annapolis, Maryland, after a lengthy battle with cancer. She was an art teacher at South Park High School in Alma, Colorado, and previously taught art at Catonsville Middle School in Catonsville, Maryland. An exemplary educator, she also served young people as a Cub Scout and Boy Scout leader and a Sunday School teacher. She was born November 2, 1952 in Baltimore, Maryland, and attended school in LaPlata, Maryland, and Severna Park, Maryland. She graduated in 1970 from Severna Park High School. She went on to receive both her bachelors of arts and masters degrees in art education from Towson State University in Towson, Maryland, and was working toward her doctorate. She enjoyed pottery, basketry and other arts, as well as hiking and snow skiing in the Colorado mountains. She is survived by her husband, Garry Snyder; her sons, Daryl Lang of Brooklyn, New York, and Gerritt Lang of Washington, D.C.; her sister, Erin Ackerman of Forest Hill, Maryland; her former husband Richard Lang of Severna Park, Maryland; and her parents Edwin and Esther Moran of Severna Park, Maryland. Viewing will be from 6 to 8 p.m. on Monday, February 5, and 10 to 11 a.m. on Tuesday, February 6 at the John M. Taylor Funeral Home, 147 Duke of Gloucester Street, Annapolis, Maryland. A funeral service will begin at 11 a.m. Tuesday at the funeral home. In lieu of flowers, donations may be made to the American Cancer Society, P.O. Box 22718, Oklahoma City, OK 73123-1718. Online condolences may be made to www.johnmtaylorfuneralhome.com.